ESC starts before any earthworks start. Here are the steps to make sure that the right things happen at the right time. You must visit the site and walk over it. This is the only way to confirm that your planning is appropriate for that particular environment. This is when you finalise the exact details, eg for the location of silt fences, etc. Invite your Compliance Monitoring Officer for the walk over. The officer will be able to advise whether your practices are in line with the toolbox and best practice. They’ll check that your plan addresses risks from the community’s perspective. They’ll advise how you can address those risks in the ESC plan and make it clear what is expected in terms of compliance. Mark out your site and the limits of where the land disturbance will happen. Include buffer zones delineating areas to be protected. Identify a site access point that restricts vehicle movement to designated tracks. Plan to stabilise the entranceway so that the area doesn’t become a source of sediment. Install perimeter controls (Source: SouthernSkies Limited). Prepare as-built plans for these devices to demonstrate that they comply with the guidance in this toolbox. Install primary sediment control tools, like SRPs, DEBs, Silt fences and outlet protection. Next, install the primary sediment retention controls, to capture and retain sediment generated within the site. 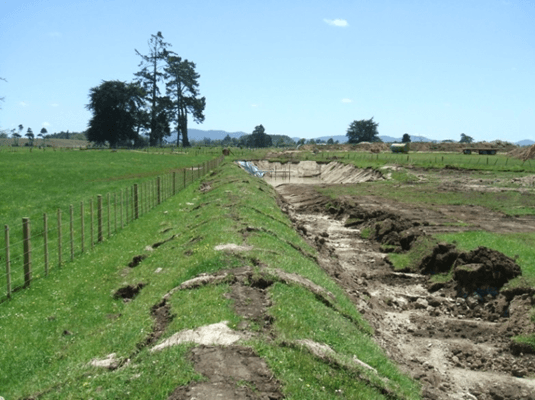 This includes tools such as sediment retention ponds, decanting earth bunds, silt fences and outlet protection. Depending on the scale of these devices, you might also need interim controls such as silt fences or super silt fences to control runoff from construction activities. 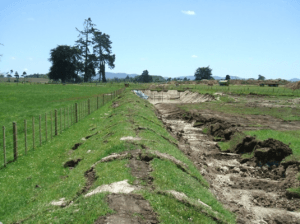 Your sediment retention devices must be installed before earthworks start. 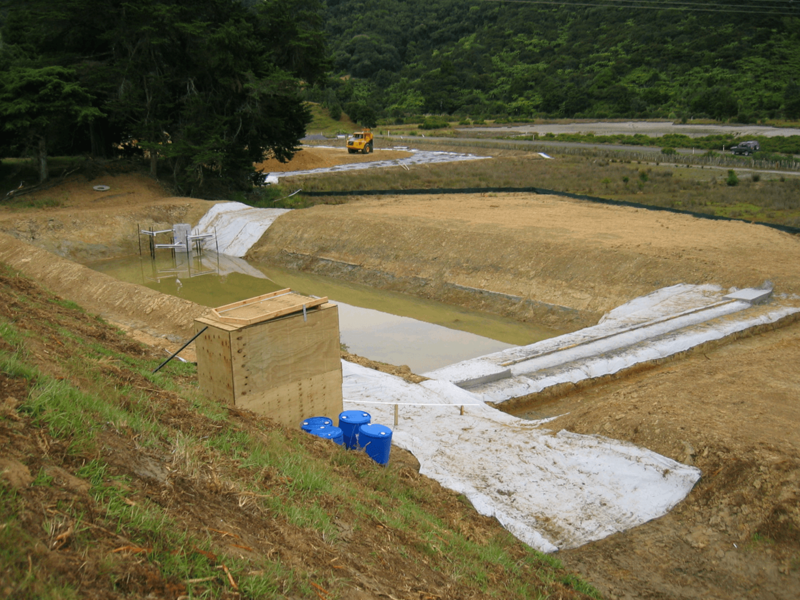 Protect stockpiles from erosion (Source: Vital Chemical Pty). 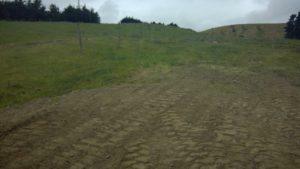 Keep topsoil stockpiles away from water bodies and the driplines of protected trees. 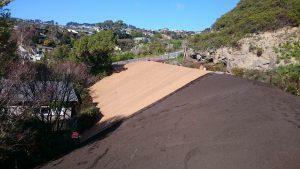 If you will be removing and stockpiling topsoil on site during works, you must stabilise it. Especially if the storage is not inside the perimeter controls. Implement progressive ESC measures and stabilisation (Source: SouthernSkies Limited). Now that your project is underway, keep applying the general ESC principles. Also, keep monitoring your erosion and sediment control tools and adjust and repair them as needed. Progressively re-locate these tools according to your ESC Plan as works move across the site. Re-adjust them to be as effective as possible. You might need to re-size a device and produce a new as-built for it. For consented activities, these changes may require sign-off from Council. Stabilise exposed soils as quickly as possible to prevent erosion (Source: RST Solutions Limited). Stabilise as soon as possible any areas which will be unworked for long periods of time, or where works are finished. Follow the frequency and methodology of your inspections and monitoring as they are laid out in your ESC Plan. This includes following what will be checked, who will do it, and how the findings are recorded, reported and assessed. Keep copies of the ESC Plan on site and update it with changes that occur. Comply with any specific requirements of resource consents throughout the project. Unless otherwise specified in a resource consent, monitor all control measures at least weekly, and immediately before and after significant rain. Clean accumulated sediment from most devices when they are 20% full (see sediment control for more information). Dispose of accumulated sediment on site in a place that cannot discharge off site. If soil is contaminated, manage it appropriately and in accordance with the National Environmental Standard for Assessing and Managing Contaminants in Soil to Protect Human Health (2011) (NESCS). 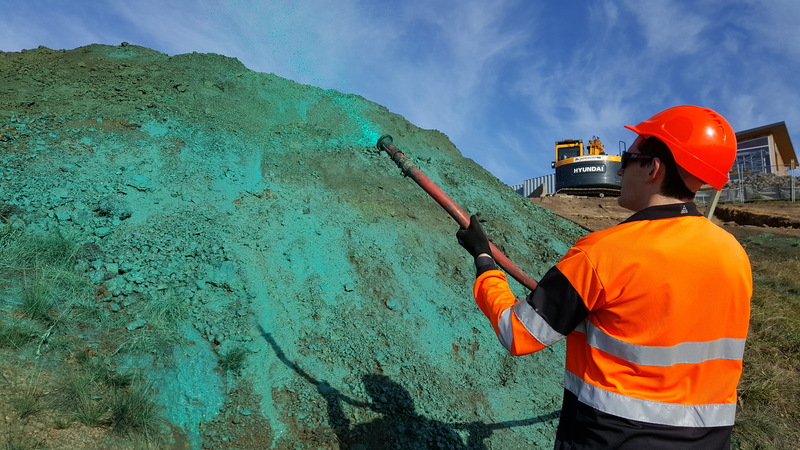 Once the work is done and the site is permanently stabilised, dispose of any remaining sediment in the ESCs. Dispose of it appropriately and be careful that it does not discharge into any waterway or stormwater network. Remove the ESCs. 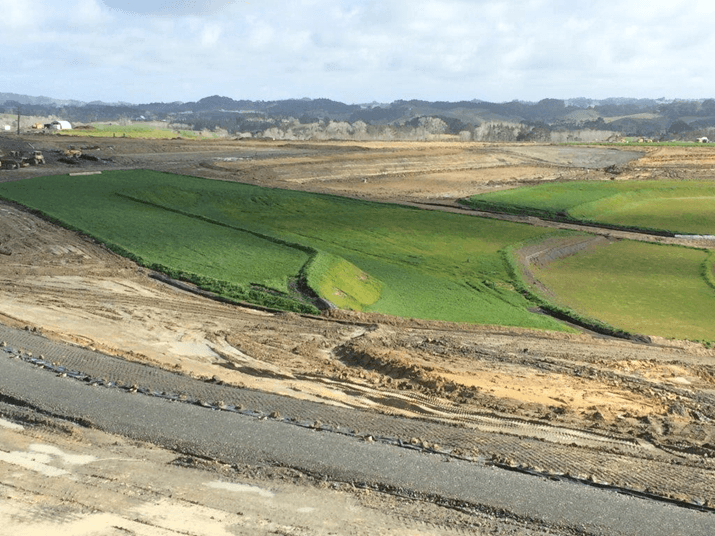 For sites with resource consent, removing ESCs may require approval by Council. Stabilise any disturbed areas left by the ESCs immediately.